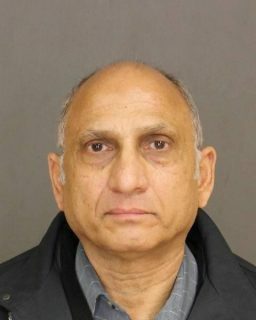 For some he was a trusted neighborhood dentist, but according to at least three women, Dr. Girish Desi, whose dental offices are located on New Main St. in Haverstraw village, actually has been a predatory pervert abusing his position to satisfy his impulses. Three counts of forcible touching, three counts of sexual abuse in the third degree and one count of endangering the welfare of a minor. Desi is accused of forcible touching of three females patients inappropriately while they were at his dental office located on New Main Street in the Village of Haverstraw Each victim was alone in a room waiting to have some dental work done when the touching occurred. Police noted Desi works mostly with low income and immigrant patients. He was arraigned in the Village of Haverstraw Justice Court and bail was set at $10,000 pending a future court appearance. The Town of Haverstraw Police Detective Division was assisted by the Spring Valley Police Department.